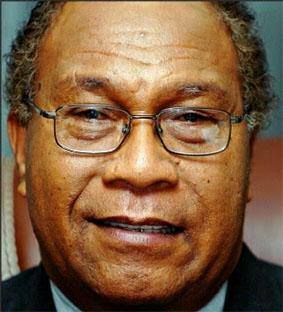 PORT MORESBY: Shelving the appointment of the Chief Ombudsman for almost a year is worrying the Opposition. Opposition Leader Don Pomb Polye said the effects that the delay had on the country were worse as far as the economy and the leadership credibility were concerned. “I am not raising the issue because I am the Opposition Leader but as a concerned citizen as it is an important issue of national interest, which has adverse effects on our economy and the country’s leadership credibility. “I am urging the other members of the appointment committee not to tolerate one man to delay the appointment of the Chief Ombudsman as he has a conflict of interest in the appointment,” said Mr Polye. He said such issues could put off the international financiers to lose appetite in lending funds to PNG as it was an issue of leadership credibility. He cited their loss of interest in the government’s sovereign bonds in the global stock markets. As one of the members in the appointment committee, Mr Polye is calling on the Prime Minister Peter O’Neill, who is the ex officio chairman, to convene a meeting immediately in January to appoint the Chief Ombudsman. “If the Chief Ombudsman’s position has been vacant for some months again, the systems of governance, transparency and accountability will continue to be at stake,” said a concerned Polye. With the country’s global corruption index being amongst the worst, he said the Ombudsman Commission was the vehicle for implementing Leadership Code. “We need leaders, who will not compromise the long-term interest of our people for their own short-term advantages. “The Prime Minister has had confrontations with the commission, which are not resolved entirely. Allegations have been made about why he has not funded the Task Force Sweep,” he said. He said the Prime Minister could not only use this opportunity to work with the committee to appoint a chief ombudsman but also to show his commitment to transparent and honest leadership onshore and overseas. He said the ombudsman’s position was vacant since January 06 this year. The appointment committee is comprised of the Prime Minister Peter O’Neill, the Opposition Leader Don Polye, the Chief Justice Sir Salamo Injia, the Public Service Commission Chairman Dr Philip Kereme and the Parliament’s chairman of Appointments Permanent Committee Philip Undialu.